I am very happy with slabs and delivery was made easy by a very helpful delivery driver. R9498 - Richard - Montrose, Angus - a few days later! Just a quick note to let you know that I am delighted with my new rubber path! It was also the first time that the landscape gardener had used them and he was very impressed with the end result, thanks again, I will not hesitate to recommend this product. Some years ago, one of my horses sustained a severe injury following a firework incident that resulted in her being bandaged for 12 months and unable to have any bedding in the stables. For the first 4-5 months we were attempting to maintain operating theatre level cleanliness to minimise secondary infection. These PJP Rubber mats were amazing. With 2 stables, we were able to switch her every 12 hours onto a newly disinfected, clean and dry area. Even with thorough scrubbing with Hibiscrub and power-washing, the mat tops were dry within 15 minutes I'm so pleased with them, I have them in the cattle court (used as stabling), 2 large field shelters (used for horses and goats) and the bull pen (used for my male goats). I wouldn't consider using anything else. Whilst my stocking density is not as high as a commercial unit, as I said, it doesn't take much to power wash them or even just sling a few buckets of water over them to clean them down quickly and think these really would be a viable alternative for the farmers struggling to access bedding this year. I've been using them for the horses (and latterly goats) for 2 decades now and can highly recommend them. I still have the original slabs as well as some newer ones. You can feel the temperature difference walking on these as opposed to the concrete areas of the barn that are not matted. Having initially used second hand dairy cubicle mats for a short period, which were heavy solid rubber. There is absolutely no comparison between those and these. The dairy mats although ridged, did not drain cleanly and even with bedding the horses quickly "smelled of stable muck". 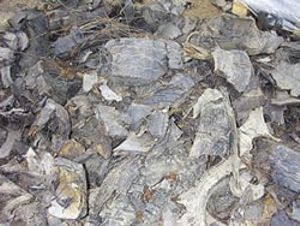 Even without bedding, there is no smell on the animals using these as the liquid quickly drains through leaving solids dry on top. I also have friends that have used cheaper brands, but have replaced their mats every 2-3 years due to wear and tear or compression. Mine have very little "sag" (perhaps one or two in the areas most frequently used for the horses lying down) and routinely take the quad bike and snow plough for mucking out. I have, on occasion, also used a tractor with snow plough blade with a rubber edge to scrape the mats again without issue. .....three years on and we still keep 5 equines in here , high water table on the Somerset Levels, so they enjoy being able to get out of the mud onto a clean dry area. Still easy to sweep out, wish I could get a photo of them all lying down together ! " From quotation to order and delivery we have always found PJP rubber to be courteous, helpful and competitive. Sarah, West Sussex. The previous slabs you supplied have been great, our customers love them, so do the horses. They save so much time with mucking out and the wall mats work very well. Wendy, Devon. We have been very pleased with the mats we purchased from you before, and look forward to receiving this order. Stable owners have a lot of responsibilities and one of them is to provide horses with the right stable rubber. More and more stable owners are considering the idea to opt for this product as it provides certain benefits: traction, warmth, bedding and yielding. If you are interested in finding a company that specializes in offering high class stable rubbers and safety play mats at accessible prices, PJP Rubber is definitely a great option. Whatâ€™s really great about this company is the fact they manufacture their products by using recycled rubber. As you have probably observed on the market, stable rubber comes in different styles, colours and shapes, in order to suit every request and need. Using this rubber mat flooring provides a lot of advantages and probably the most important one is safety. Taking into account their versatility, the rubber mat flooring can be used in different factories, commercial buildings and so on, providing a pretty durable surface. On the other hand, the rubber mats can be extremely useful in houses for all kinds of purposes. For instance, as a parent, you have a lot of responsibilities and one of them is to ensure a high level of safety and security. With the help of these useful safety play mats, your children can play without any worry. They are available in different designs, pictures and colours, in order to suit every child. PJP Rubber is a remarkable company for many reasons. In the first place, they provide high standard stable rubbers, manufactured and designed carefully in order to provide a remarkable bedding system for the horse stables. A lot of horses have dust allergies and given that, it is crucial to select the best bedding system stable rubber. With the help of this company, you can achieve this. Second of all, they provide clients with a diversity of safety play mats that come as a blessing for schools, homes and nurseries. Taking into account their great material and design, you can use these mats for indoor and outdoor use. 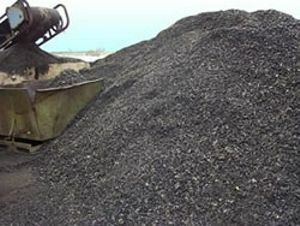 To conclude with, there are many advantages when using the most suitable stable rubbers: completely non-slip, mucking out time, ease of cleanliness, save on the cost of bedding materials, warm and dry flooring, and last not least, cost of waste disposal. You shouldnâ€™t hesitate in contacting the representatives of PJP Rubber if you want to find out more useful details about their play mats and stable rubbers. Being a trusted member of Guild of Master craftsmen, there is no doubt you will positively impressed with their great services and high class products. These modern days, numerous stable owners are interested in covering their concrete floors with stable rubber, considering their numerous benefits: warmth, yielding, bedding and traction. PJP Rubber is a reliable and trustworthy company that is specialized in providing customers with durable and high quality stable rubbers and safety play mats. 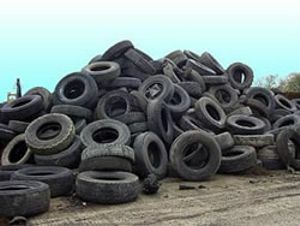 Their incredible products are all manufactured from recycled rubber. Stable rubber is available on the market in a number of styles and shapes. Safety is one of the most important benefits of using this rubber mat flooring. Given its material, the rubber mat flooring can offer a non-slip and stable surface. To add more, it can be utilized in commercial buildings, factories, offering a durable surface that can last for many years. 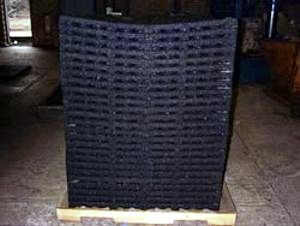 Rubber mats can be utilized in the houses for numerous purposes. For example, if you have children, these safety play mats can offer a high level of safety, an important aspect especially for young children who play a lot. Whatâ€™s really great about them is the fact they can be bought with pictures and designs that can be educational and funny to your kids. Another great application you could consider is the ability to use them for basement or garage flooring. 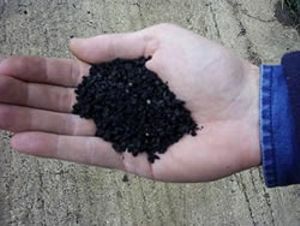 PJP Rubber boasts about providing only high class stable rubbers that are especially designed and manufactured in order to offer a full bedding system for the horse stables. Taking into account the fact that a lot of horses have dust allergies, the high class bedding system stable rubber provided by this company can definitely be the perfect option. Another aspect worth mentioning here is the fact that their stable rubbers are available with a one-year guarantee. They also boast about providing customers with a wide selection of safety play mats that are so beneficial for nurseries, homes and schools. Given their design and material, they can be appropriate for outdoor and indoor use. 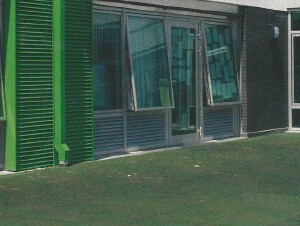 They have been supplying safety mats and stable rubbers since in Europe and UK since 1992. All in all, with the right stable rubbers, you can enjoy many benefits: cost of waste disposal, completely non-slip, ease of cleanliness, save on the cost of bedding materials, warm and dry flooring and last not least, mucking out time. If you want to learn more useful information on their stable rubbers and play mats, you are invited to access their website or to get in touch with the representatives of PJP Rubber and they will offer the support you need. Iâ€™m sure you wonâ€™t get disappointed with their products and services, taking into account the fact that they are a trusted member of the Guild of Master craftsmen. Rubber to cover the flooring of horse boxes is becoming more popular, for many reasons. But mainly due to the fact that rubber floors in stables are now accepted as the norm, proven to work and not a strange addition. The benefits from a rubber bedding system is proven to have an advantage to horse welfare, time saving and reduced bedding costs. So if it works in stables, it must be worth having a serious look at for use in your transporter. There are many types of transporter flooring on the market, some may suit your requirements, others will not, it's worth looking at the available items and getting samples to see what suits your needs. Granulate rubber slabs are completely safe, warm and due to their construction, have a cushioning effect, which will stop vibration from the hard transporter floor. Studs may also be worn on granulate rubber slabs. 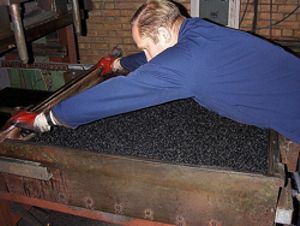 PJP Rubber granulate or crumb rubber slabs are completely British made, they are constructed from recycled truck tyres and re-bonded with special resin. The slabs are formed in special moulds from the 100% recycled crumb to PJP Rubber's own technical design to suit equestrian use, which has been improved over the years of sales. Are you looking for a non slip, porous surface which requires no bedding, comes in one metre square slabs, 30mm thick and is easy to lay and lift, just like large carpet tiles? If you are, then Peter Payne at PJP Rubber is the person to talk to. Their slabs have many uses, come in various thicknesses and colours, special slabs can also be made to suit your requirements. 30mm slabs are used for transporter floors, stable walls and walkways, etc. 45mm thick for stable floors, animal pens, etc. Thicker slabs for safety and play areas. Loose crumb is also available as a sand school mix.